What to do in the rain…. Veg out in Ohiophotogrl’s bed and play on her iPad. 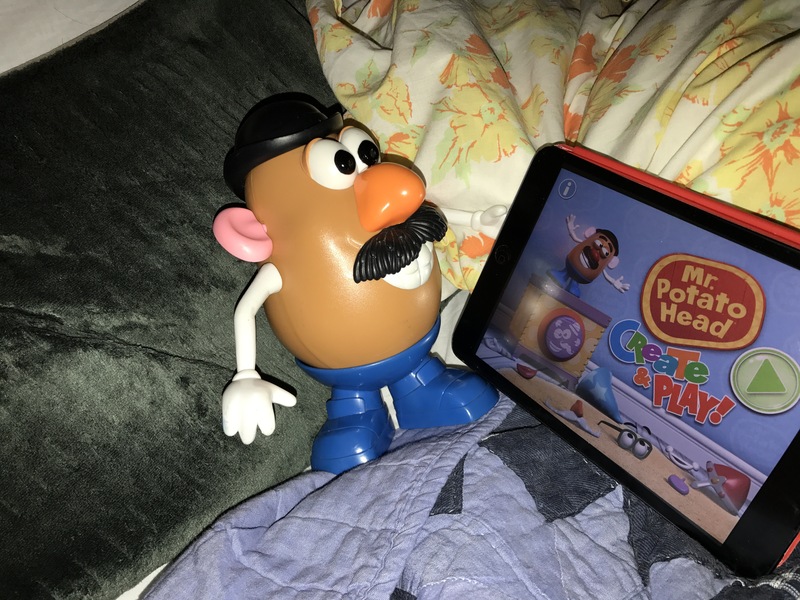 There is a Mr Potatohead game! I could play it all day. I can change clothes, move around to different locations and the best part is I don’t have to leave this comfy bed! This entry was tagged adventure, blog, blogging, creative, entertainment, fun, Hanging out, kid friendly, laughing, laughter, Mr. Potato Head, muse, photography, rain day, relaxing, toy photography. Bookmark the permalink.